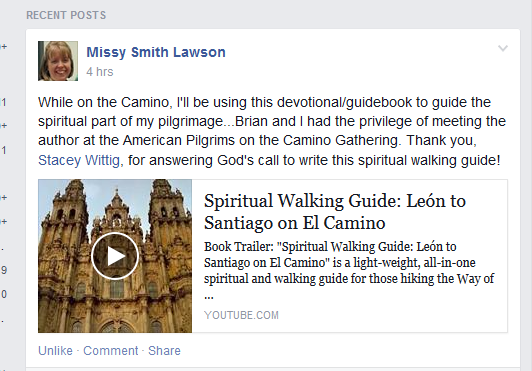 Missy Smith Lawson of Kansas City reported on Facebook today that she and her husband Brian will be using The Spiritual and Walking Guide: Leon to Santiago as a guide for the spiritual part of their Camino de Santiago Pilgrimage. Thank you, Missy for the kind words! 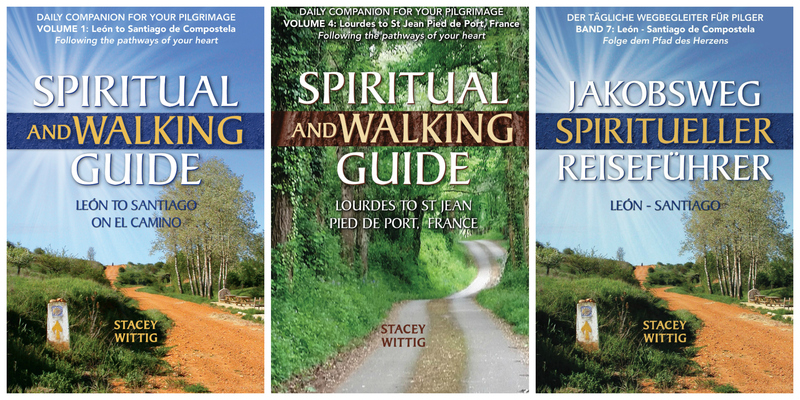 God bless you both as you follow the pathways of your hearts along The Way of St. James in northern Spain. Let me know what you think of the scriptures for The Way that are listed for your contemplation.